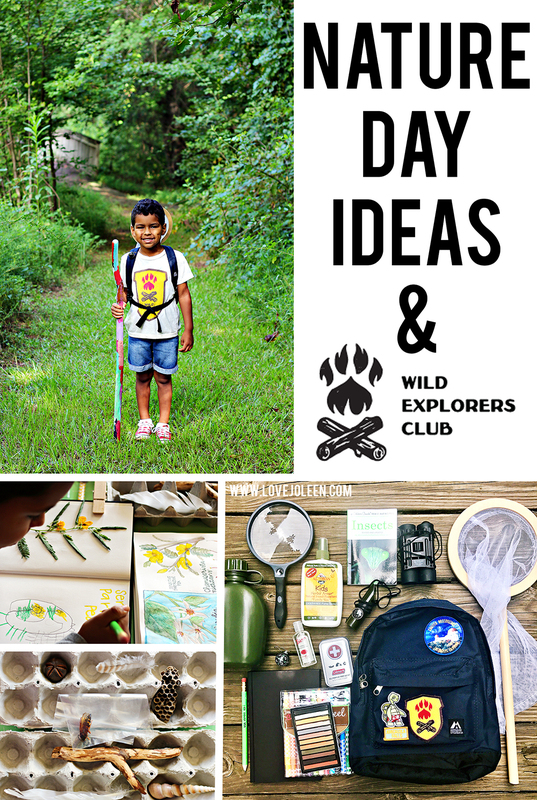 Last year we adopted a weekly Nature Day as part of our Homeschool Preschool curriculum. If you've been looking into homeschooling you've likely spent some time researching Charlotte Mason, who found great value in the study of nature. I personally have always loved being out in nature and my hope is to share this love with Benjamin. Our weekly Nature Day is an opportunity to explore and lay a foundation for more formal science studies. But that's just one of 8 reasons to do a nature study, according to Simply Charlotte Mason. 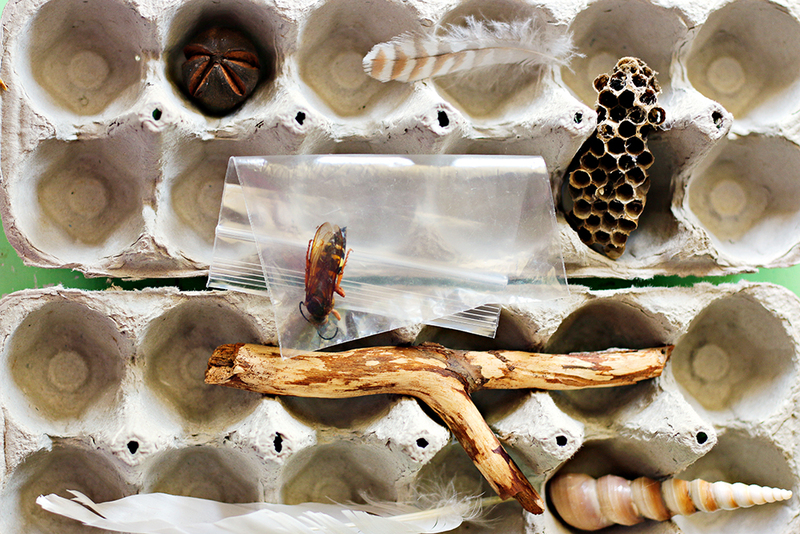 Check your local Nature Center(s) or Audubon Society for Preschool and Homeschool programs. 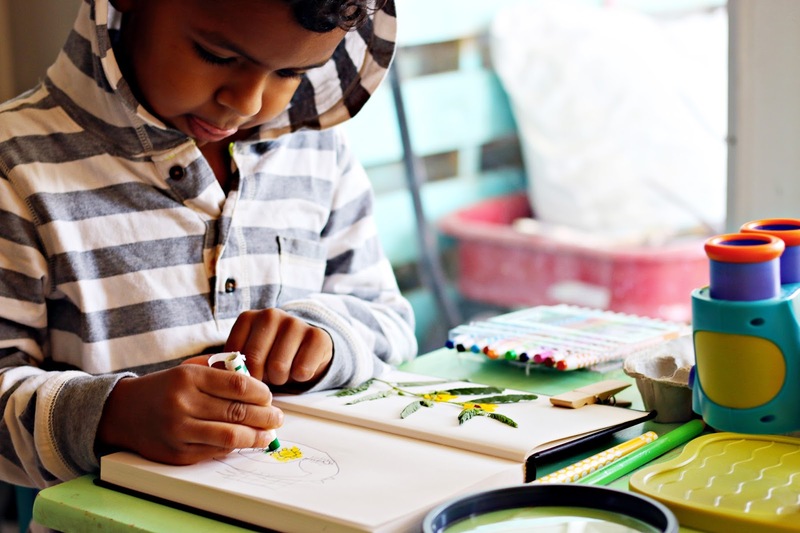 You don't necessarily have to be homeschooling to participate. Some classes take place on the weekend. We are lucky to have several options available to us in the Atlanta area. Start small (or short, in this case). 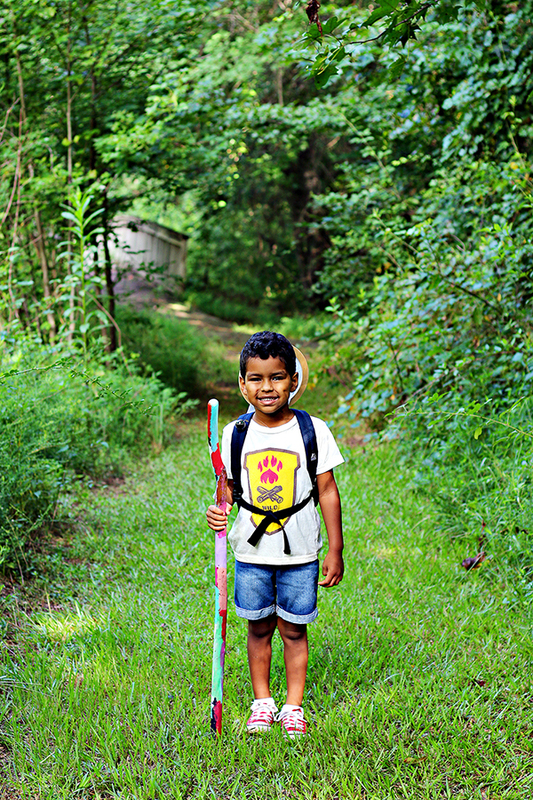 Look up family-friendly trails in your area to explore. Benjamin is just getting used to the weight of his pack and I call it a success if he walks a mile without asking to be picked up. Start a Nature Collection. Benjamin loves collecting rocks and has a pretty extensive rock collection. (It's doubled since this last photo.) It's basically his go-to souvenir when we go places. 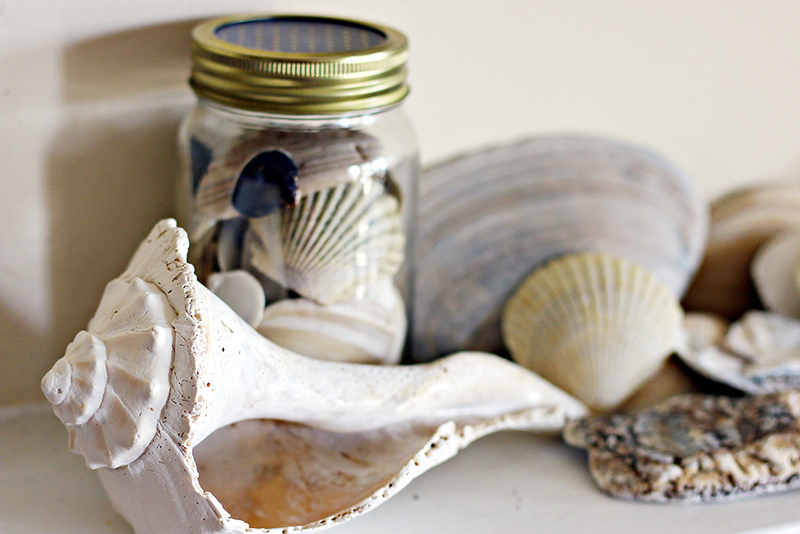 A friend sent him shells last year and then I brought him back a bunch of shells on my recent trip to the Outer Banks. We also keep various odds and ends from our Nature Day excursions, and this is my personal favorite of the collection. My advice is to bring something like these Learning Resources Handy Scoopers and a small bag for collecting. Once home, Benjamin studies his findings with his GeoSafari Jr. Microscope and large magnifying glass. Keep a Nature Journal. 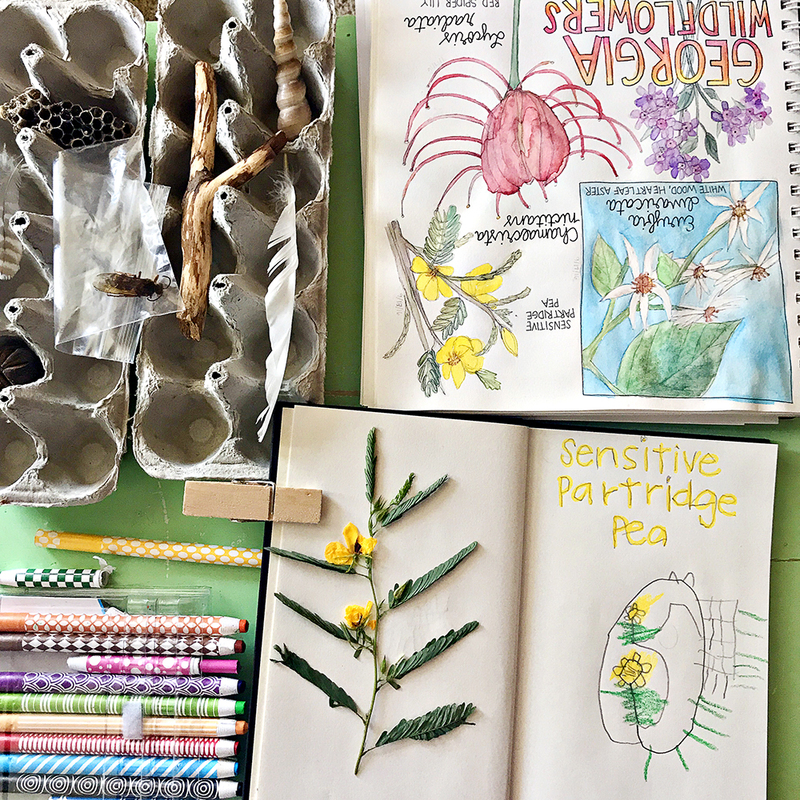 Take a break from your exploring to sketch or paint, press leaves, make observations, etc. Benjamin sketched these wildflowers while we were outside but colored them at home. I looked up the name so he could label his drawing. There are many great resources for ideas on how to incorporate nature into your everyday lives. One of my favorite online resources is Nature for Kids. 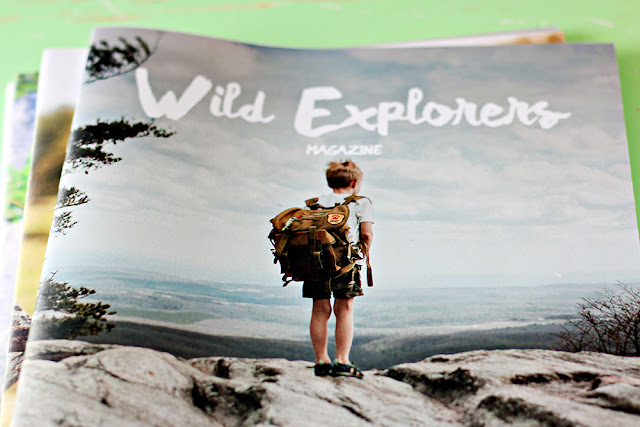 For Christmas we put together a nature backpack for Benjamin and signed him up for Wild Explorers Club. "The program is divided into 10 animal-levels that represent 10 core values." This is a self-directed program with weekly assignments delivered to your email. Many people form their own groups or do it on their own as a family. The recommended age for this program is 6+. We started when Benjamin was newly 4 and we help him complete each assignment to the best of his ability. It's definitely a program he can do again as he gets older. 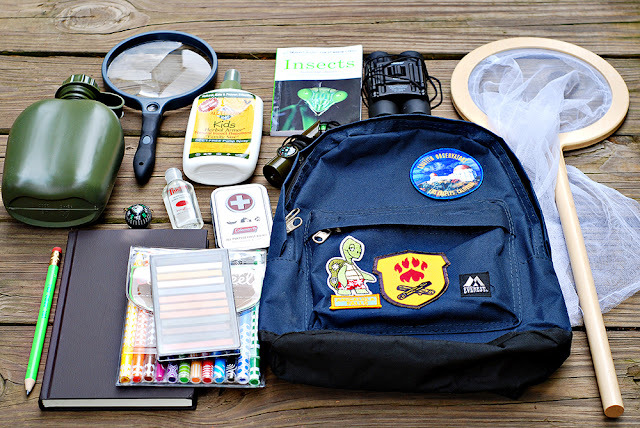 Spoiler alert – the first assignment is to put together a nature pack. I thought I would share a list of the supplies we got for Benjamin. 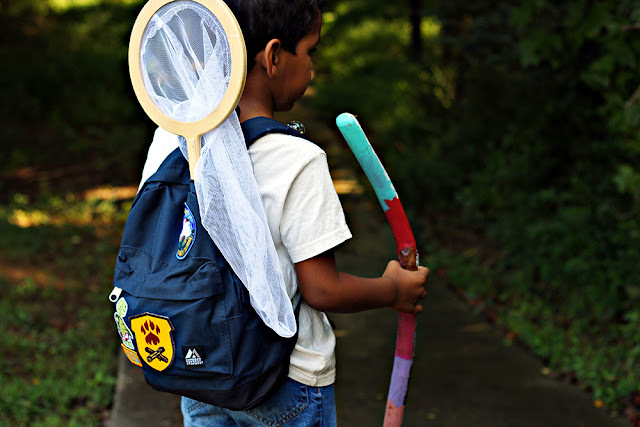 I found many of these items on one of my favorite homeschooling blogs, Salty Tribe Co. 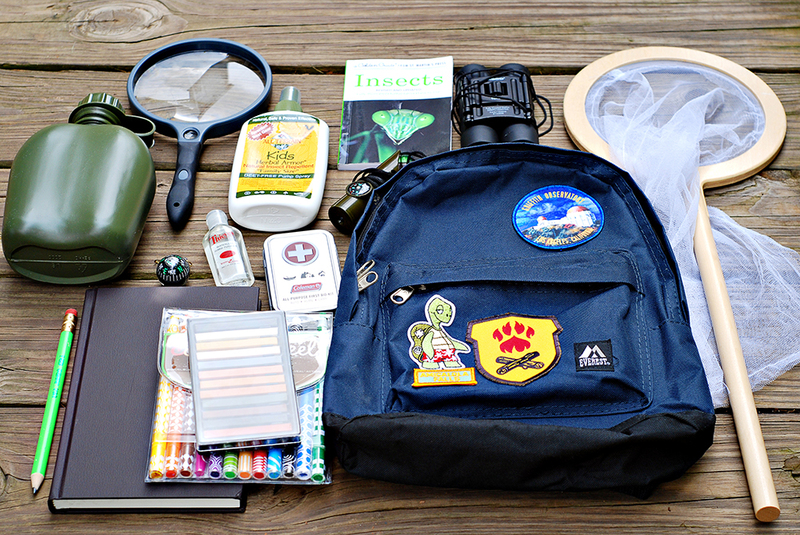 It's also worth noting that we don't take everything with us on every outing. This is a smaller backpack (perfect for Benjamin's small frame) but it does pack full and can get pretty heavy! I recently purchased this hiking backpack for myself, so that I can carry my own things and a few of Benjamin's to lighten his load. As part of the club, you'll receive a monthly copy of Wild Explorers Club magazine. I honestly look forward to these each month. 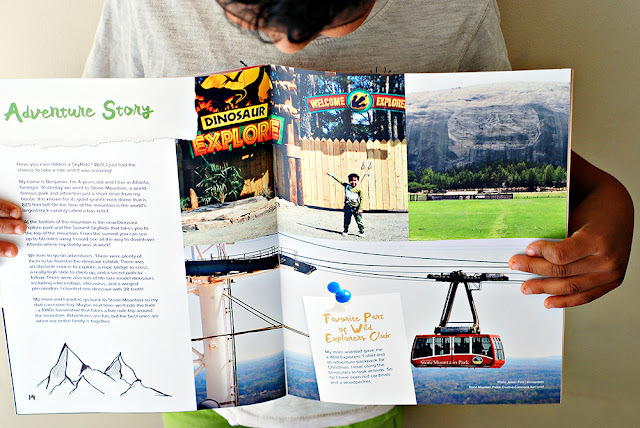 They contain beautiful, full-color photographs and creative writing on high-quality paper. They highlight badge assignments, share scientific facts, book reviews, highlight families, share ideas and Instagram photos of club members, highlight an Explorer of the Month, and include an Adventure Story. In May, they shared a photo of Benjamin off of Instagram in Hashtag Highlights. 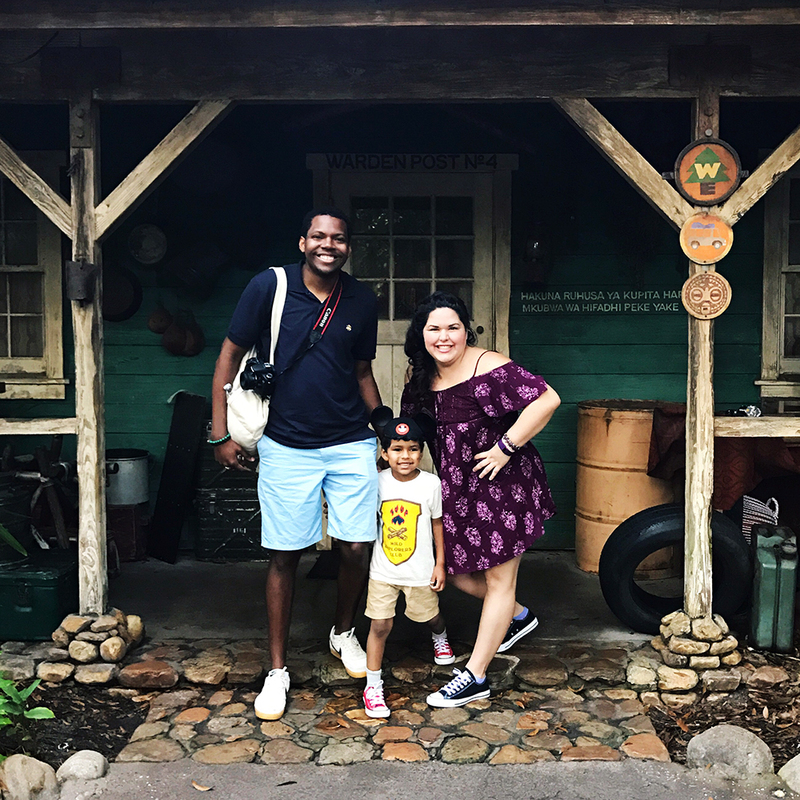 We were thrilled and honored when he was asked to share an Adventure Story for the July issue. Here is his two page spread, where he shares his adventure to Stone Mountain Park. So fun!